Completion of this module will facilitate you in demonstrating a firm appreciation of underlying pathological processes. It will allow you to approach complex issues systematically and creatively, make informed judgements in the absence of complete data and communicate their conclusions clearly. The research-based approach will also offer an insight into the research process and how knowledge can be derived and applied. You need to be registered on the Masters degree or be able to demonstrate successful study at degree level. Alison has special interests in nutrition and developmental physiology. 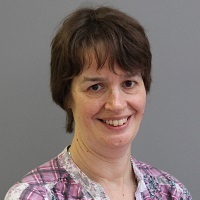 Alison is programme director for the MSc advanced practice in health and social care for nursing and ophthalmic nursing.